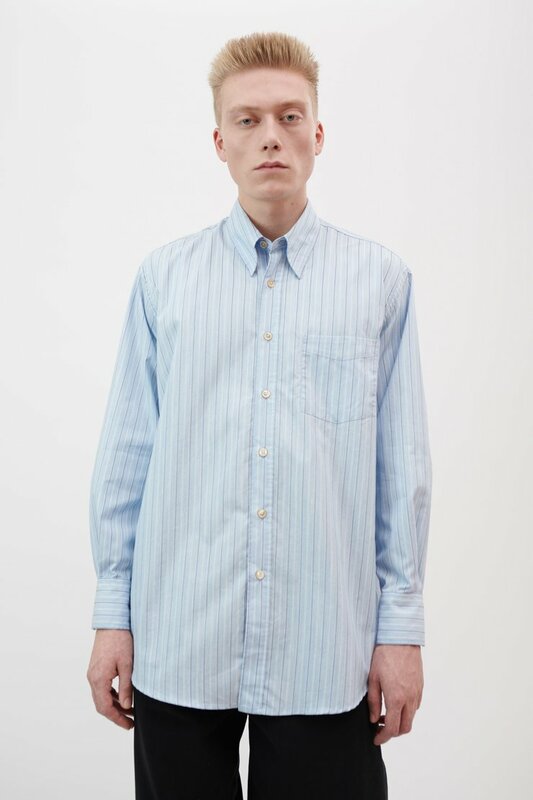 Our Less Borrowed Shirt in Vintage Irregular Stripe. 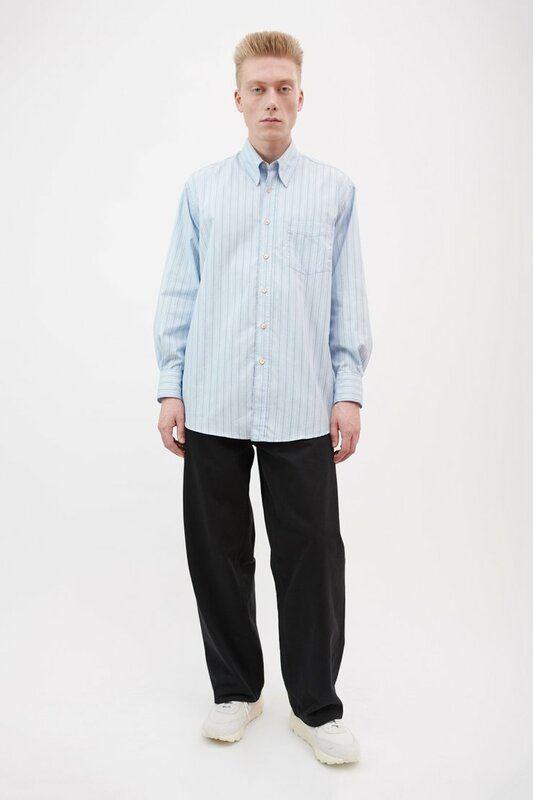 Produced in a Portuguese cotton and polyester blend fabric, the Less Borrowed Shirt has a slightly oversized cut and features mother of pearl buttons, a single chest pocket, mitered cuffs and a curved hem. 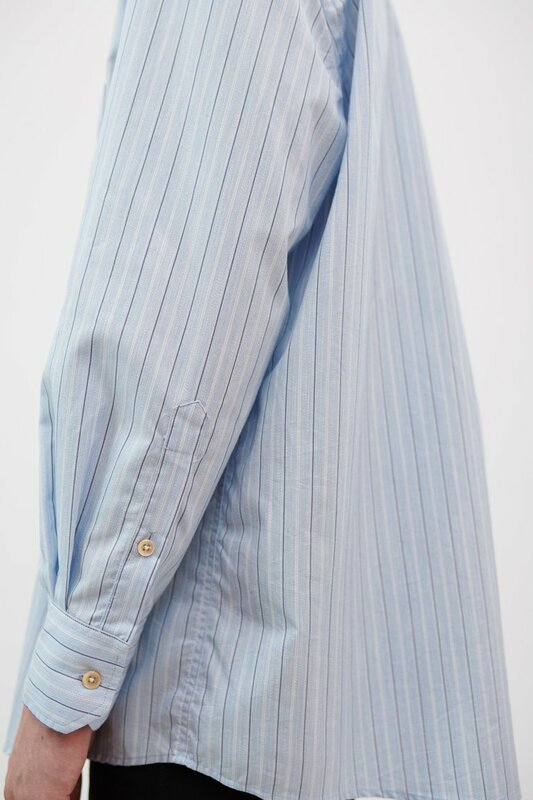 The Less Borrowed shirt also features hidden snap buttons under the collar. 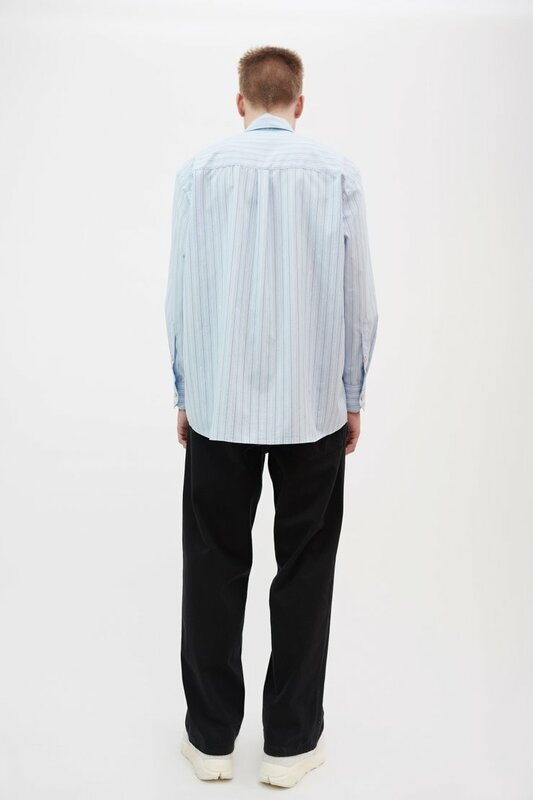 Our Less Borrowed shirt is not as oversized as our Borrowed shirt, but still has a wide cut and relaxed fit. The model is 186 cm tall and is wearing a size M/48.